This year’s new model Mitsubishi 2018 ASX was a real surprise to review. It’s a small SUV but what I discovered was the only small thing about it was the price, with a cost of only $26,000. Mitsubishi 2018 ASX: HOW THEY DO IT AT THAT PRICE I’LL NEVER KNOW! For that price, one might expect low end features; the ASX was anything but. At 112 kW it had plenty of power to zip around in. It’s a 2L and seemed to be really good on the petrol too. It was a smooth all-wheel drive and plenty of room in the cabin for the kids and all their gear. Interior seating has changed from a fabric version in last years to a funky stitching and leather trim. The rear has been upgraded too taking it from a rather ‘normal’ look to something a little bit more special. A nice set of alloys too, so overall the whole package was a pleasant surprise. iPhone integration on an easy to use 7” touch screen with two USB connection charger/audio ports left me thinking that the ASX has everything that the modern driver looks for. How they do it at that price I’ll never know! Cargo room was enough for anything my family can throw at it. Yes, it doesn’t have the auto rear opening door like its more expensive competitors, but it would tick a lot of boxes on someone looking for an SUV and I still can’t get over the bang for buck you get from this vehicle. 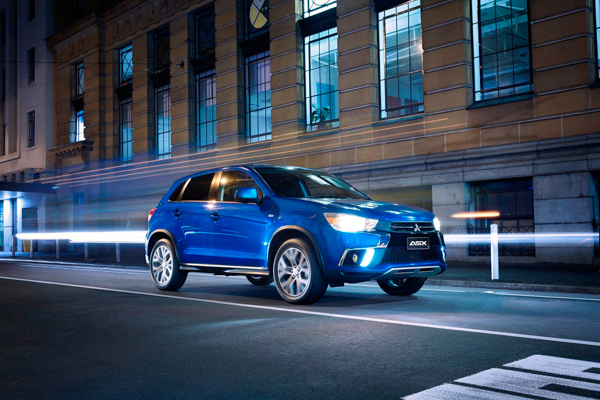 Good on you Mitsubishi ASX, go you good thing.